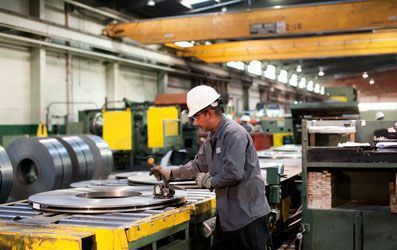 Harbor Pipe & Steel processes and distributes steel to the highest standards from its 23-acre facility in Southern California. We serve all of California and the western United States, including Hawaii. We deliver to other destinations upon request. Our three divisions ─ Genesis Metals, James Metals, and Riverside Processing ─ slit, level, shear, edge, punch, and burn the steel we sell, as well as do toll processing. Within our 400,000 square-foot warehouse, we store our own sheets and coils, and our customer inventory. We have railway access, and our tractor-trailers provide rapid pickup and delivery services throughout Southern California. We use common carrier for broader destinations. The corporation was founded by James Beattie in 1963 as a small shearing company. The company is now second-generation owned. We are a faith-based business whose goal is to provide the highest quality in the steel industry. At Harbor Pipe & Steel, Inc. we have been blessed with a successful and growing business and believe in giving back. To that end we support many charitable organizations and invite you to support them as well. Genesis Metals is a full service cut-to-length and slitting steel service center offering blanked items, sheets, slit coil, as well as master coil for purchase. Riverside Processing handles customer-owned material for toll processing. We provide storage, slitting, and cut-to-length services. James Metals is a shearing house with capabilities ranging from 30 gauge to 3/4' thick and up to 20' long. Safety is a huge concern throughout our company. At Harbor Pipe & Steel we employ a full-time safety officer and have an admirable safety history. We enforce the use of all PPE and keep our facility exceptionally clean and well maintained. At Harbor Pipe & Steel, we are environmentally conscious in all of our business practices. We recycle scrap metal, wood, cardboard, bottles and cans, plastic rings, and mixed plastics.